Before we began to design anything, understanding the history of the buildings and their importance as industrial heritage was foremost. 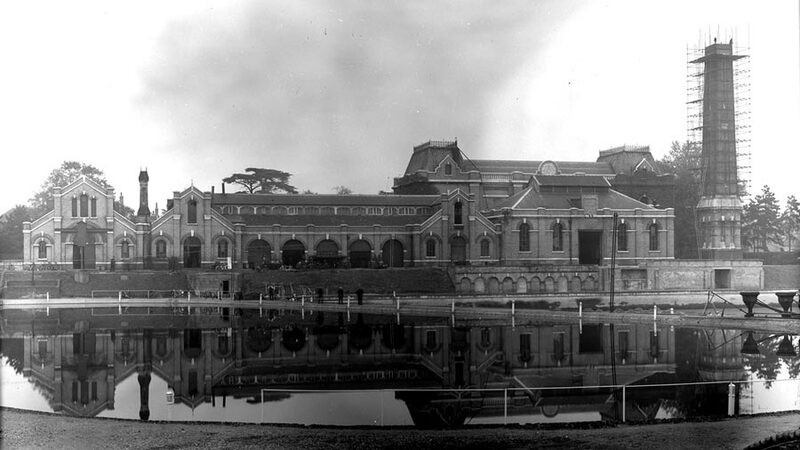 The Hampton Water works were formed in 1852 by Joseph Quick, an engineer specialising in water supply. 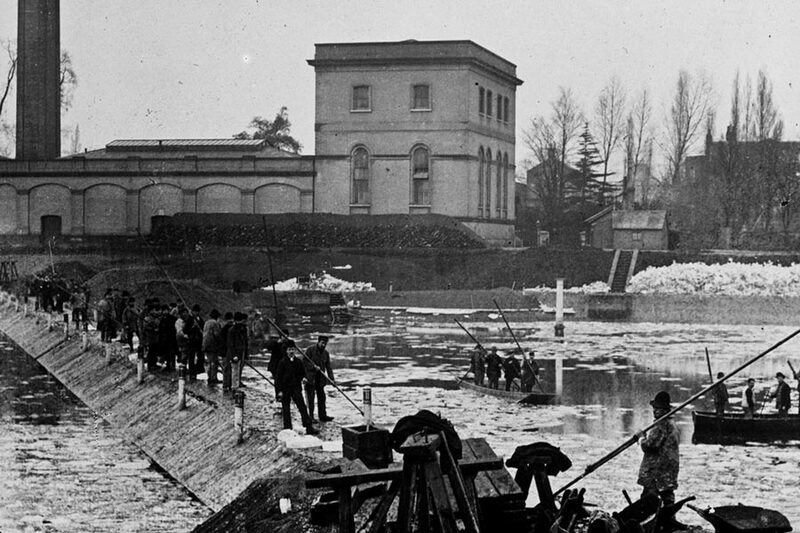 In response to the London cholera epidemics of the early 19th century, Quick had the idea to extract water from the Thames up river from the Teddington and Molsley locks, where the water would be protected from the tidal back-wash of the heavily polluted river in the capital. 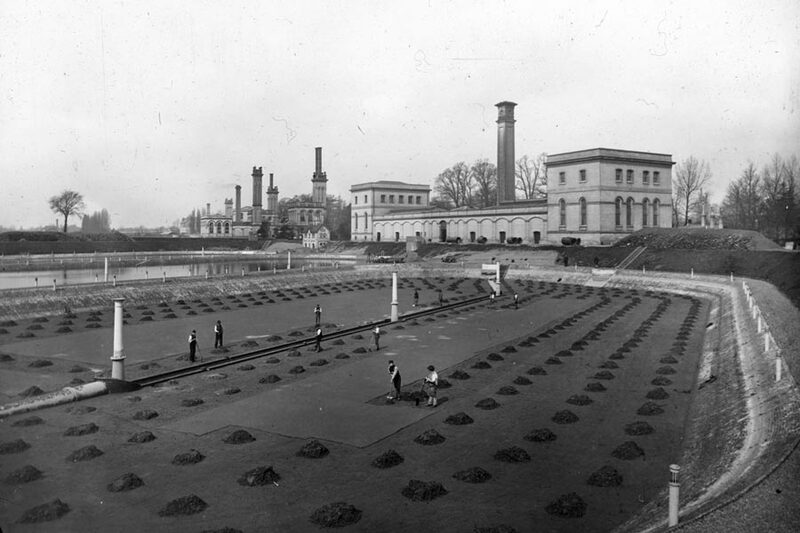 Quick created a series of filter beds beside the river and three original pumping stations, for three different water companies, bordering Thames Street (now the A308). 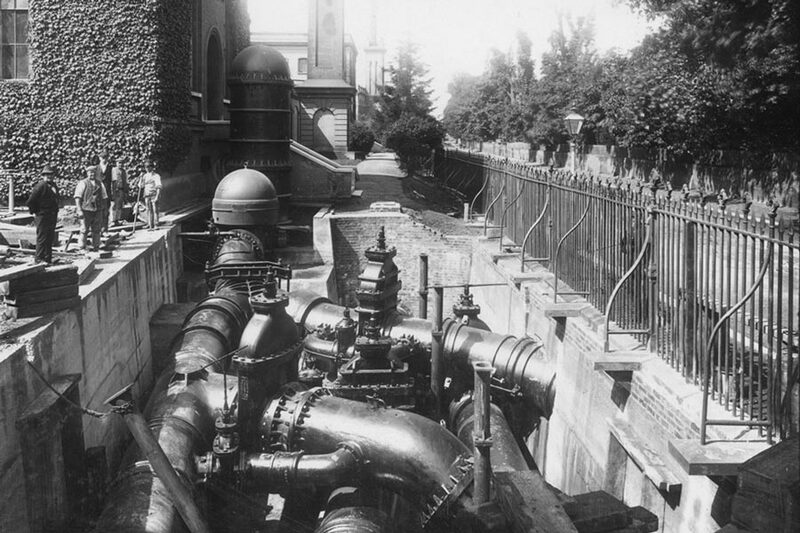 Water was pumped by steam-powered engines up to distant reservoirs and other pumping stations in the capital through large, buried brick culverts and later cast iron pipes. 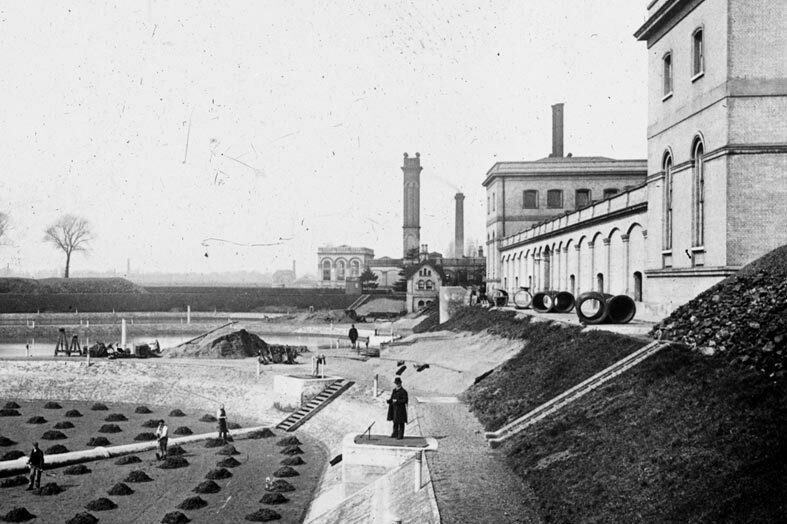 As London’s population rapidly grew in the latter part of the 19th Century, so did the demand for clean water. 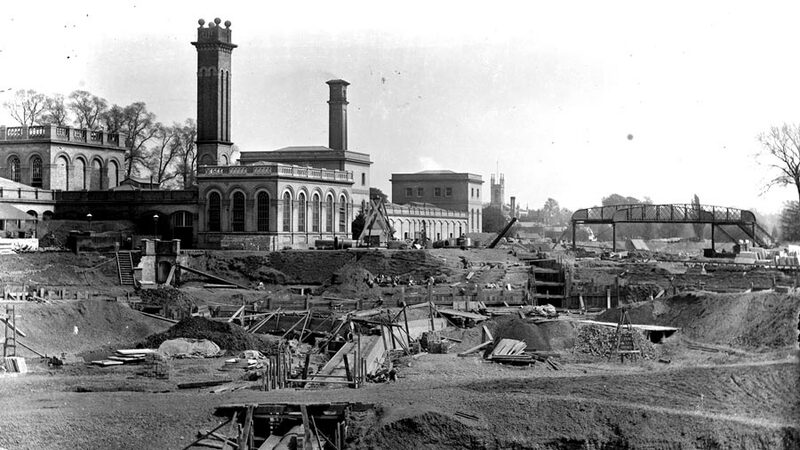 One of the water companies at Hampton, the Southwark & Vauxhall Water Co., responded to the demand and began to construct new, improved pumping stations on the current ‘Morelands’ site in 1870s and 1880s. 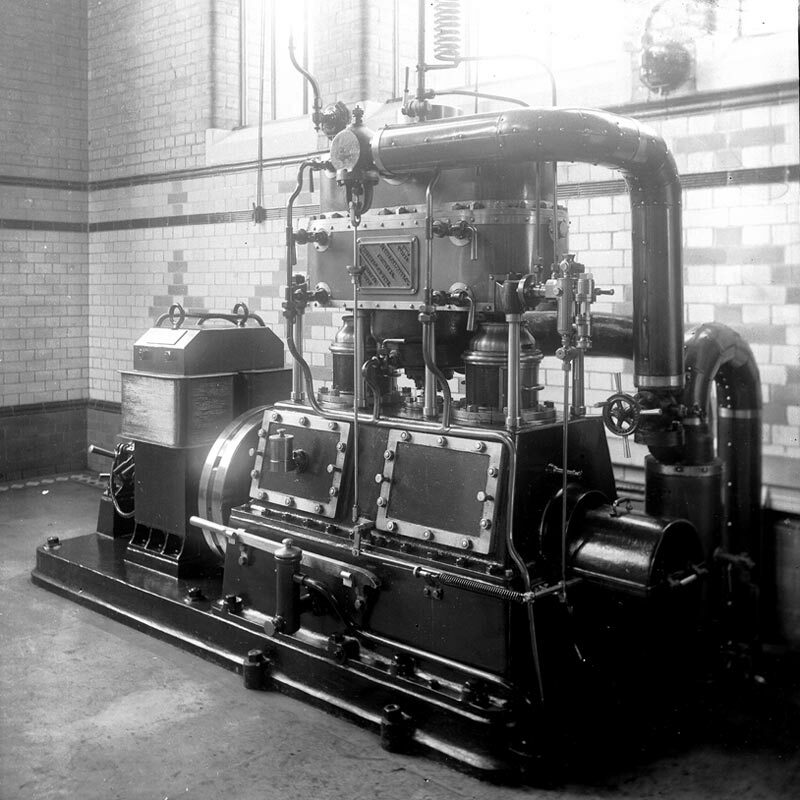 At the forefront of such engine design was Sir James Restler, the Chief Engineer to the Southwark & Vauxhall Water Company. 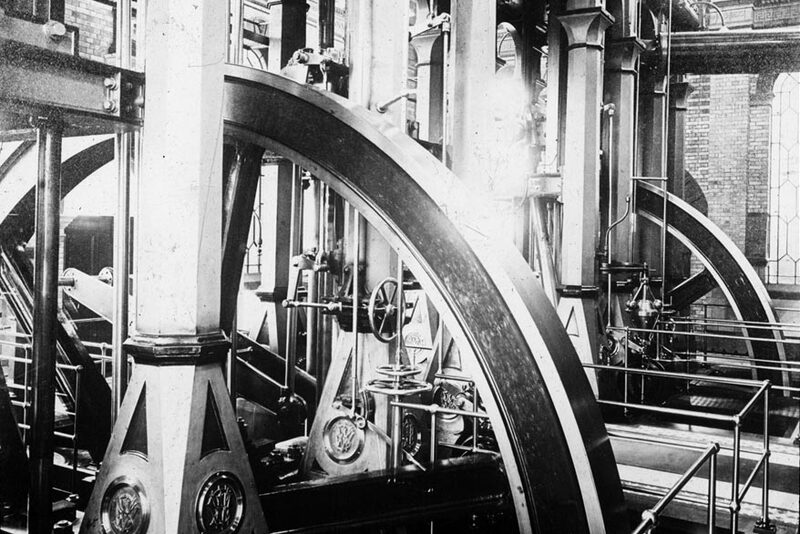 His design of the first rotative pumping engines was constructed by Moreland & Son in 1886, thus the Moreland Engine House takes its name. 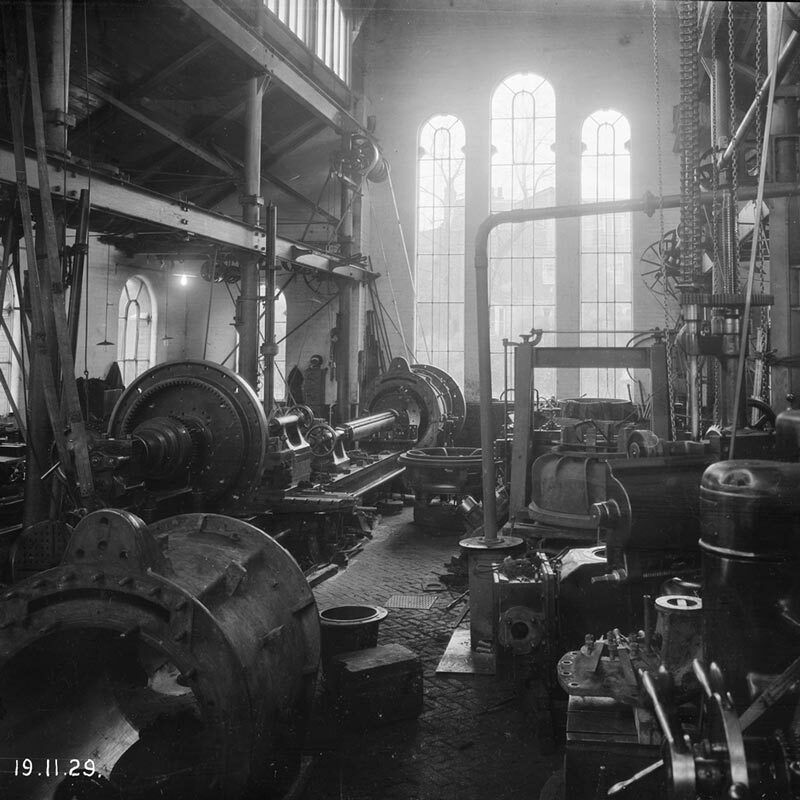 As steam and pumping technology rapidly evolved, so new and more efficient engines were added. 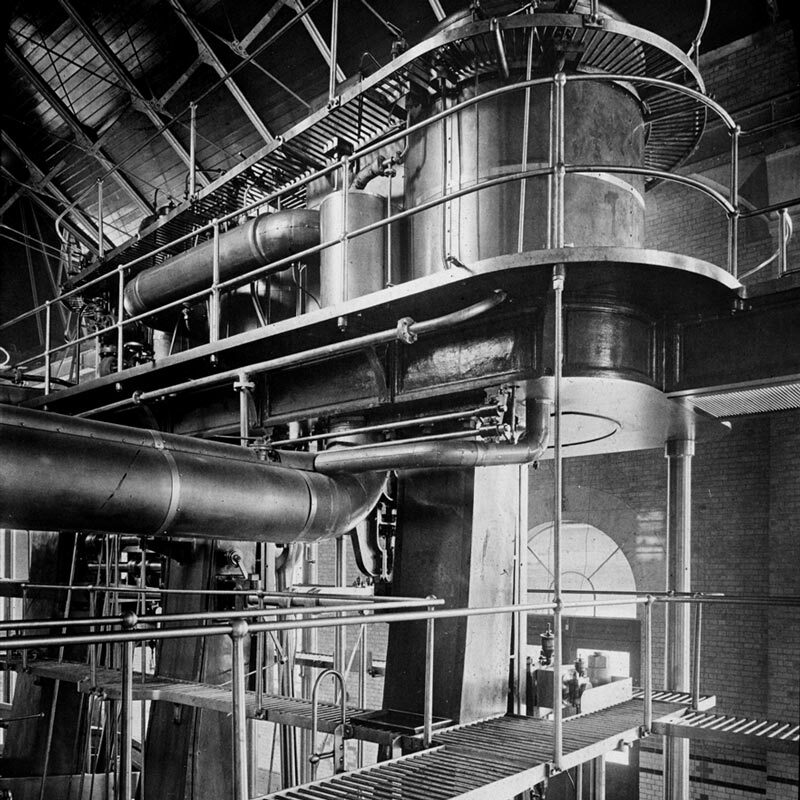 No sooner than the Moreland engines had started to operate, Restler began designing even more efficient engines and by 1900 the enormous Riverdale Engine House was supplying a vast proportion of the water to the capital. In 1903 several of London’s water companies were incorporated into the Metropolitan Water Board, of which Sir James Restler later became Chairman. 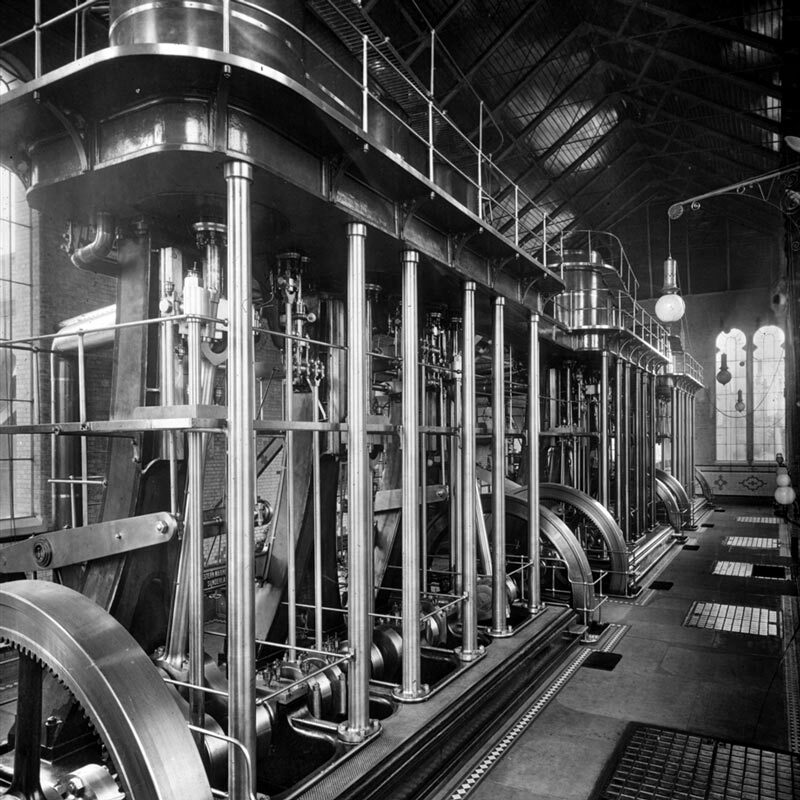 Each set of pumping engines were powered by steam created in vast boiler houses beside the the engine houses. 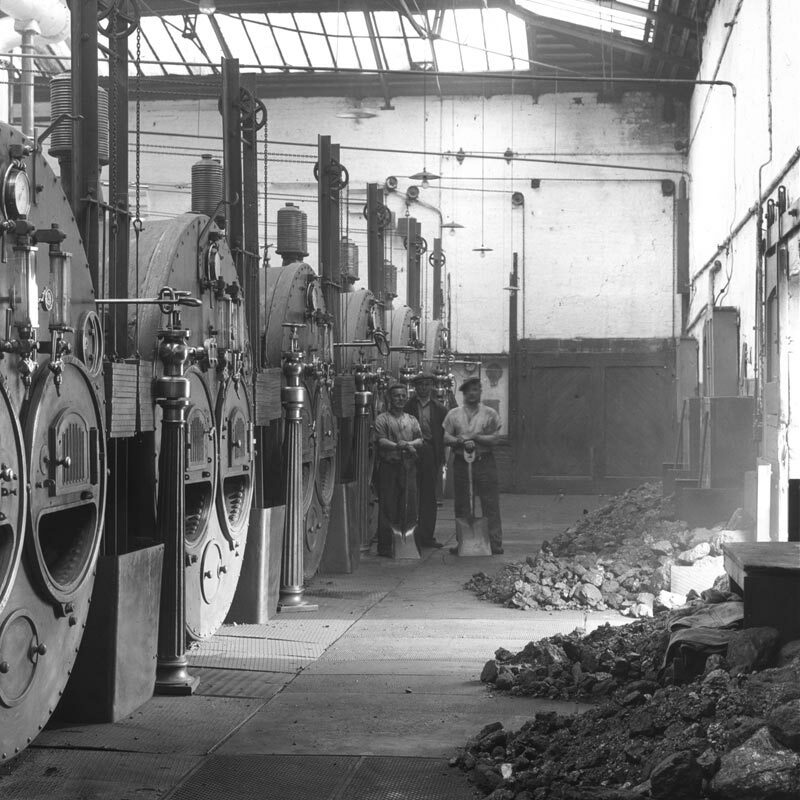 The boilers were fed around the clock with coal, stored in large coal stores and supplied by river barges and later, a dedicated rail line from Kempton Park. 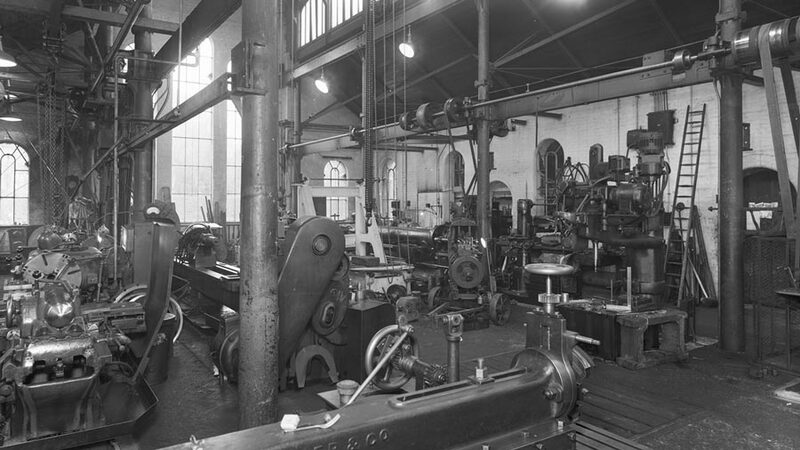 Labour-intensive coal-firing was superseded in the early 20th Century by diesel, to which the Riverdale engines were converted, but the older Cornish and Moreland engines in the Morelands buildings were dismantled and the buildings became redundant. 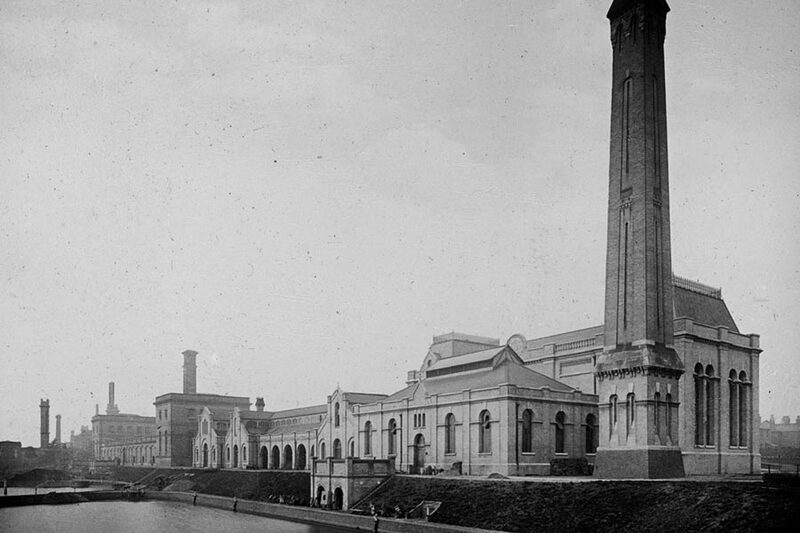 The vast chimneys were removed by the 1950s and a decade later pumping from the Riverdale engines stopped. In 1973 the buildings passed from the Metropolitan Water Board to the Thames Valley Water Authority, later becoming Thames Water Utilities Ltd. 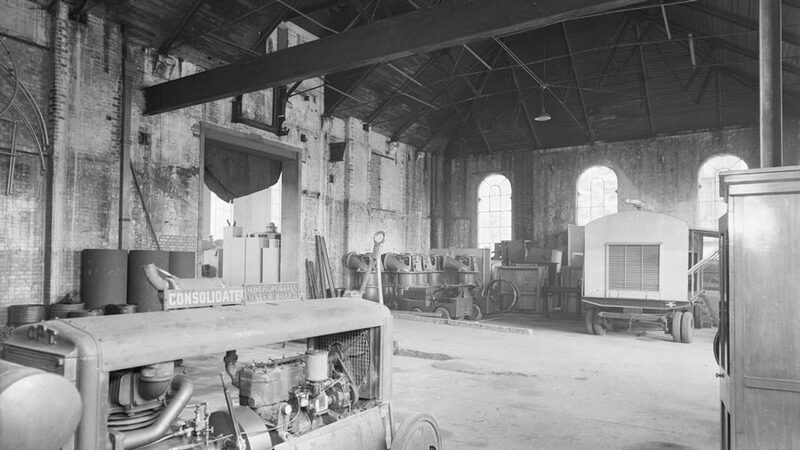 Under the stewardship of the large utility providers there was little pressure to develop the vast buildings and they remained largely unaltered since removal of the engines, bar a few small offices formed within the buildings. The Morelands Engine House was listed (grade II) in 1968 and listed status was later extended to all the original buildings of the Hampton Waterworks to protect them. The buried Victorian pipe systems running throughout the site remain active to this day and are subject to a continuous programme of repair. In 2012 Thames Water sold the Morelands & Riverdale buildings to Mr Andrew Black. Thames Water still own and operate all the filter beds and the other original pump houses at the Hampton waterworks, west of this site. 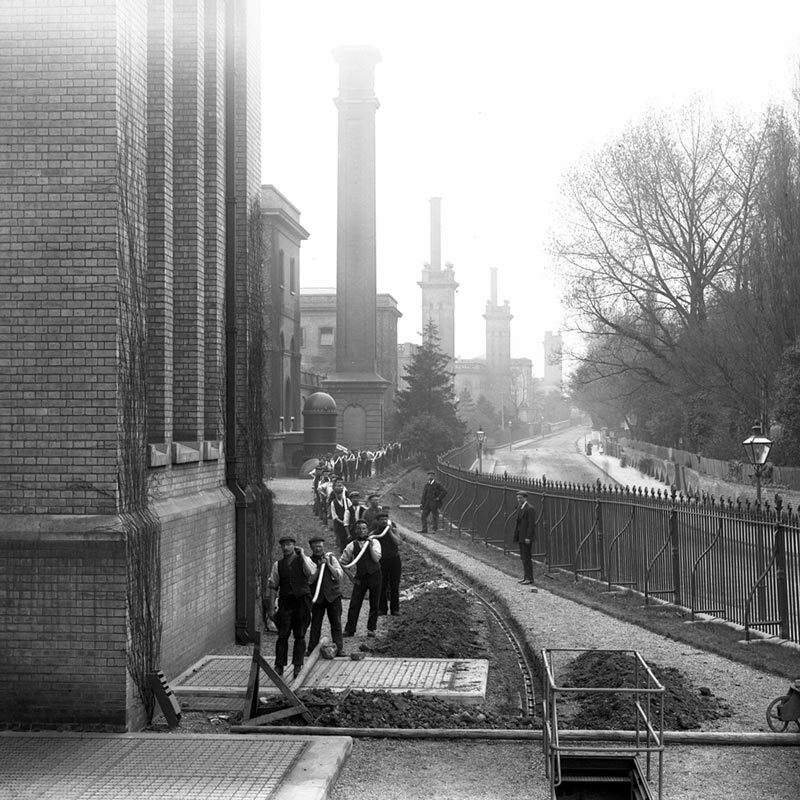 We would like to thank the Kew Bridge Steam Museum for their invaluable help, the access to their archives and permission to reproduce the historic photographs on this site.